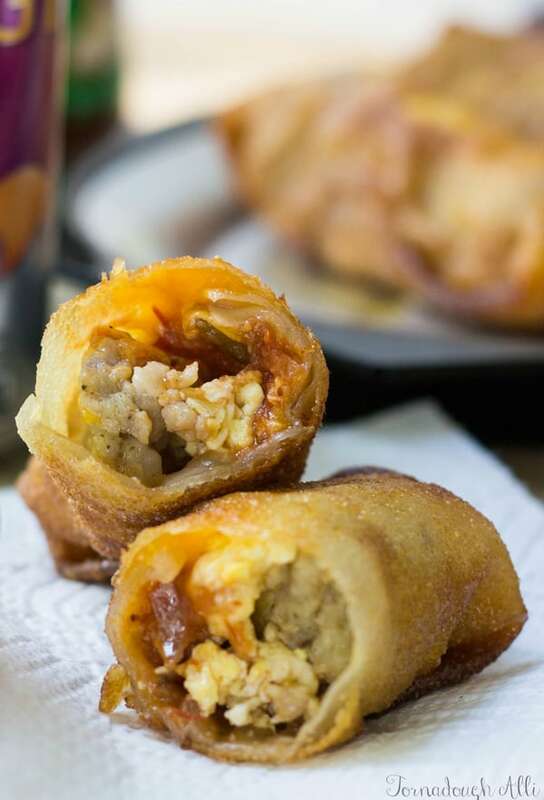 Sausage, bacon, eggs, salsa and cheese are rolled up and deep-fried in these delicious Breakfast Egg Rolls. A fun and tasty way to start your day. Love pizza? 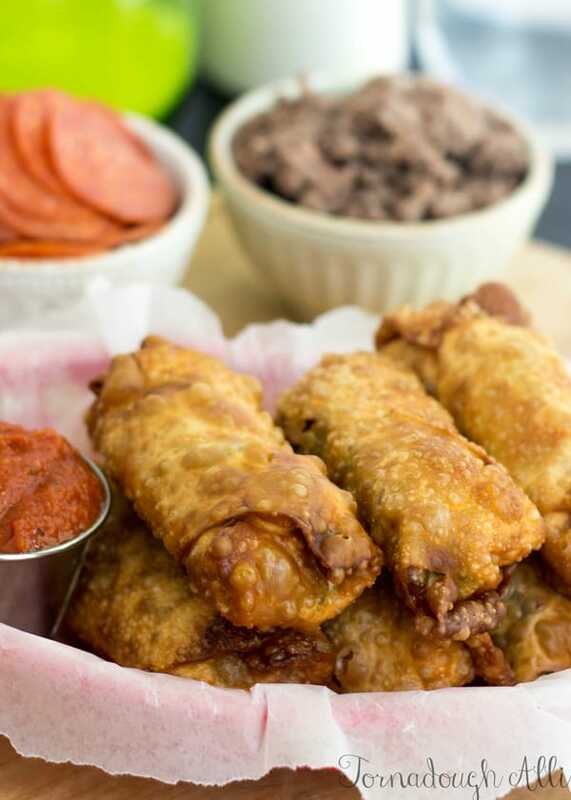 These Supreme Pizza Egg Rolls have all the ingredients in a pizza all rolled up and deep-fried until crunchy and golden!